Introduction of the Christmas Savings Plan - Clico Credit Union. Projecting confidence...inspiring trust. 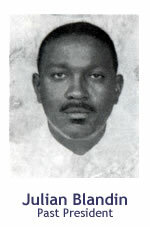 In 1973 the late Julian Blandin was appointed President, he was an agent attached to the CLICO Port of Spain Agency. During his tenure he introduced the Christmas savings plan. With the assistance of the Managing Director of CLICO and the late Mr. Cyril Monsanto an agreement was made to purchase shares in the Union which facilitated increased credit availability to the members. Mr. Blandin also advocated for office space to be provided and a clerk was hired to work exclusively with the affairs of the Union. Mr. Blandin later made recommendation to have relatives of employees join the Union and this was accepted. Mr. Blandin became ill during his term as President and succumbed to his ailment on December 20, 1977. 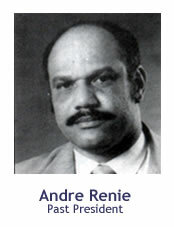 In 1978 Andre Renie was appointed President of the Credit Union, he was a former Director of the Union. He brought to the union a wealth of knowledge in administration since he held various managerial positions in CLICO at the time. In the year of his appointment the Bye-Laws of the credit union was revised allowing the Trinidad and Tobago Defense Force employees to become members of the credit union. Computerization of the Credit Unions records was also started and this resulted in an improvement of the service provided as it allowed reports to be retrieved in a timely manner. The Board under his stewardship completed all the basic details for the erection of a Head Office Building for the Union. CLICO in principle agreed to make available to the Credit Union a parcel of land for the construction of this proposed building. Under Mr. Renie’s tenure the CLICO Credit Union experienced continued growth and the decade of the eighties was labeled “the period of expansion as the Credit Union’s total assets increased from $355,000.00 in 1980 to $6,822,000.00 in 1989. Mr. Renie served as President until 1989, having served the maximum permitted number of consecutive terms as President. 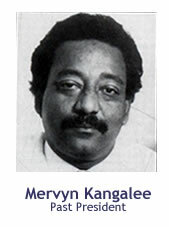 In 1991 Mr. Mervyn Kangalee was appointed President of the Credit Union. At this time due to the expansion of the Union the office was forced to relocate to another location. The move took the Union which was located on the second floor of CLICO Head Office to rented accommodation on the1st floor at Colonial Fire & General Insurance Company Limited (COLFIRE) building at 98 Duke Street, Port of Spain. In March 1992, under the stewardship of Mr. Kangalee CLICO Credit Union office was relocated to its present premises at 33 Edward Street, Port of Spain. However, the formal opening and blessing of the building was done by Rev. Irvin Smith on October 20th, 1992 at 2.00pm. In 1993 the late Mr. Russell Tesheira gracefully accepted the mantle of Vice President of the Credit Union. He continued to do all within his power to ensure that involvement in the movement added value to each of its members. As a consequence, he was a firm advocate of savings and informed financial management. He was instrumental in introducing the Annual Personal Financial Planning Seminars which is now a popular feature in the celebration of International Credit Union month every October. Through his perseverance he motivated members to become better educated on such topics as “Estate Planning”, “Savings and Investment Options” and “Readying for Retirement”. He also encouraged young persons to save, using the special savings programs for youths in the union. During the nineties, the assets base climbed to over ten million with a membership of over 2,000. In 1993 The Credit Union standing order was first published in the Union’s annual report.